Be still, my beating heart (no, seriously, slow down). Adventures in inappropriate sinus tachycardia. After ten minutes of walking around the grocery store with a mostly empty cart, I was already exhausted. I went to a concert last night after a long, annoying day at work, so I was pretty sure that was the reason, but since I have an arrhythmia, I decided I better take a quick peak at the activities of the old ticker to make sure. My resting HR hovers around 100 BPM, but it doesn’t always jump when I become active. When it does though, I get tired, clammy, and dizzy. I’m pretty good at getting myself seated before I faint, so that doesn’t happen anymore. 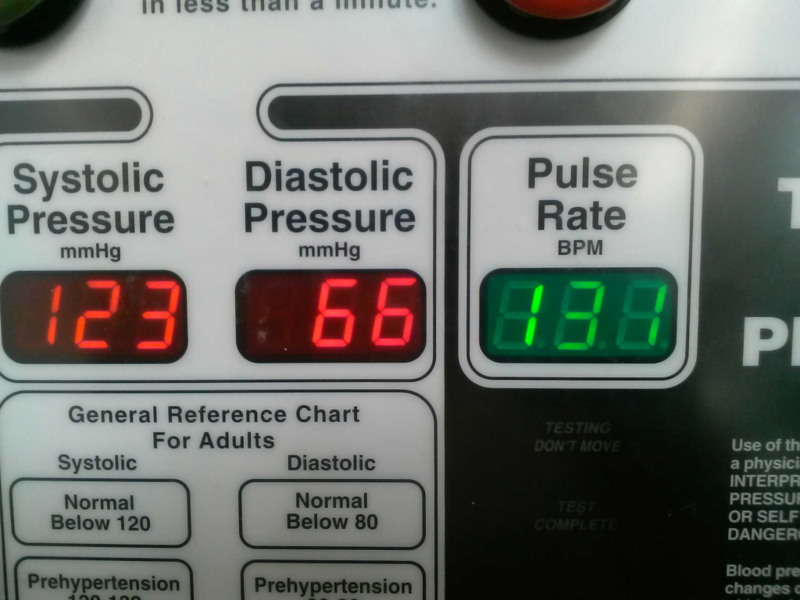 That 131 BPM that I saw on the screen wasn’t shocking, but it was unwelcome. I’m fairly certain my condition isn’t a big deal, and, hey, I know I’m lucky my heart beats at all! IST can be a day-ruiner though, for sure. My sodium intake is down lately, since we’re on a low-salt kick in my house, so that may be contributing. I’m glad I stopped to take a look, because the minute of sitting gave me a little break, but it got me thinking uncomfortable thoughts about possible surgical remedies. With that being said, has anyone out there in Internetland gone through with sinus node modification/ablation to remedy IST? I’ve got next to no fear of surgical procedures, but I’m afraid of the potential outcome on this one. Do some people really come out needing pacemakers after partial ablation? Oy, that’s something I don’t want. It’s not that big of a deal, but if it can be fixed, I think I’ll take it.